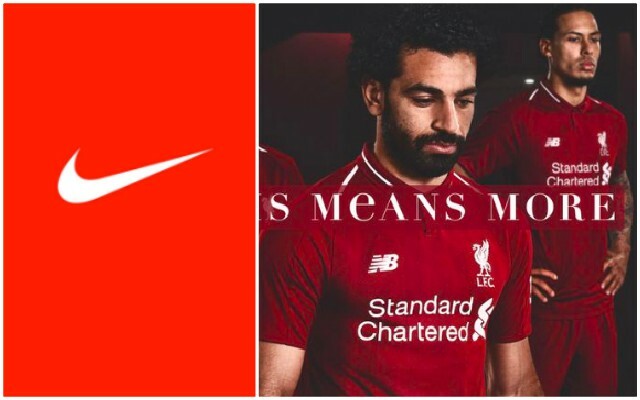 Liverpool are in ‘advanced’ discussions’ with Nike about the sports giant becoming our new kit manufacturer, reports ESPN. The article suggests that the money we’ll get will eclipse Manchester United’s £750m, ten-year deal with Adidas and be the biggest ever by a Premier League side. Liverpool currently earn £45m per year from New Balance on a deal that expires at the end of the 2019/20 season, with an option to extend should they meet another brand’s offer. However, it is not thought they’re willing to compete with Nike, who are desperate to add Liverpool to their roster, which currently includes Barcelona and PSG. On a purely aesthetic level, we haven’t had much time for Nike kits over recent years – but the figures obviously are more important for our future long-term – especially if we want to compete at the business end of the Champions League over the next decade. If we get it done, it’ll be yet more evidence of the tremendous job FSG has done with Liverpool off the field.